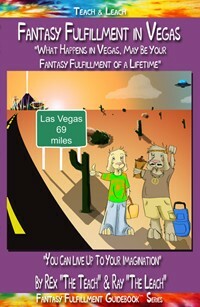 Teach & Leach books are designed to guide our readers in fulfilling their fantasies. This is your ticket to fantasy fulfillment. You must buy this cleverly written humorous book. NOTE: Not only for Vegas, this book could be used anywhere such as sporting events, political events, bars, airports, and of course church.